Posted on September 9, 2016 by admin wrote in Uncategorized. It has 1 Comment. After we broke bread, he showed me his bright yellow caddy with zebra-print interior which had some dents. Luckily I always have my tools with me so I removed his dings and he paid me with bottles of very nice red wine. I never did ask him what caused the dents, but I did notice a little blood near one of them. Tony freaked out as he had never seen PDR, (Paint-less Dent Repair) performed. 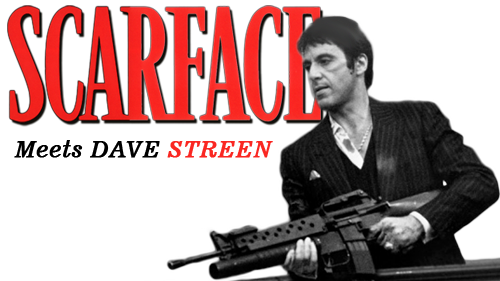 I don’t have to tell you that when Scarface, I mean Tony, freaks out, you need to watch out. Luckily he was excited and not pissed so everything worked out fine.